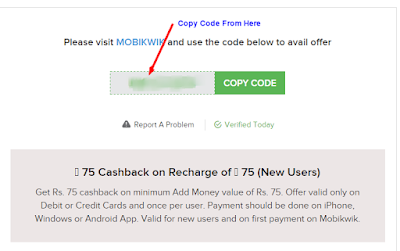 Mobikwik Rs 75 Cashback for New Users : Mobikwik is offering Rs 75 cashback on adding Rs 75 in Your mobikwik Wallet.Actually coupondunia is giving Rs 75 Cashback Mobikwik Coupon.After Gain this You can use it on mobikwik for 75 cashback.You can use mobikwik wallet for Mobile Recharge/Dth Recharge,Online shopping websites and many more sites. 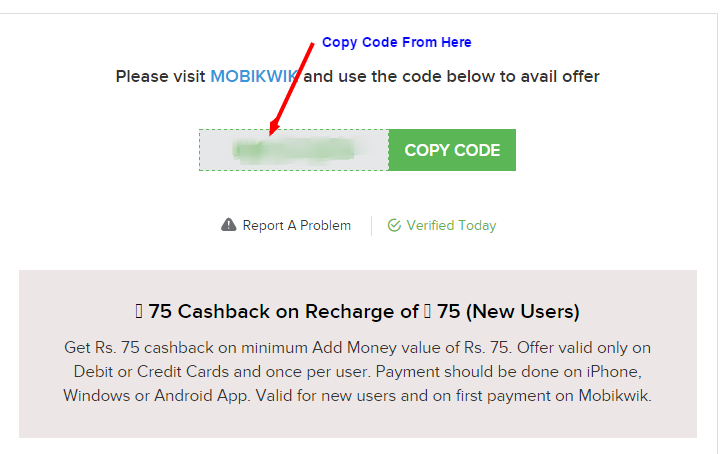 1.First of All CLICK HERE to go Couondunia offer page.Scroll down a bit you can see Mobikwik Rs 75 Cashback offer. 3.After Sign/login process click on Get Code,a new browser window will be open.There you can see your coupon. 3.Click ADD MONEY and Add Rs 75. 4.On Payment page fill all details of your Debit/Credit card,Under PROMOCODE option enter gained coupon from coupondunia. 5.If you see PROMOCODE SUCESSFULLY APPLIED,then proceed to pay otherwise don't pay. 6.Awesome!You can see your wallet money double of Rs 75. 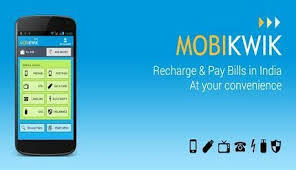 1.Offer Valid only for New Mobikwik Users only their first payment.